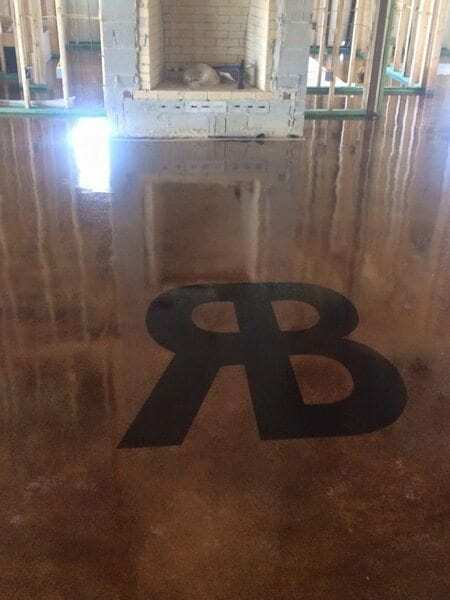 A great stand alone floor coating in it’s own right, the brown stain used here really creates an incredible glossy stained concrete floor, but is enhanced even further with the black stained concrete monogram emblem. This is a custom 4000 SQ FT home in Texas, mission brown and Spanish gold sure stain, topped with SB poly. Custom dyed monogram brand logo 48″.